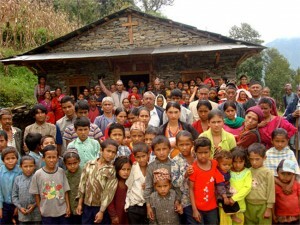 CPC mission partner, Philemon Chhetri and his family, share the gospel in their native Nepal. Nepal is a land-locked country of Hindu-Buddhist peoples. It is ringed by the Himalayas and has a population of over 20 million people. The first legal opening for the Gospel came in 1951. The number of Christians has soared from less than 50 in 1960 to more than 500,000 today. New Life Mission (NLM) focuses on evangelizing and planting churches among unreached Nepali areas in Nepal and Northeast India. Nearly 50 churches have been established! God has honored NLM’s endeavours to evangelize the Nepali communities (which comes at a great sacrifice), and mission leader Philemon Chhetri is committed to leading NLM and it’s 100 missionaries into the future for God’s glory. Please hold the Chhetri family in your constant prayers! 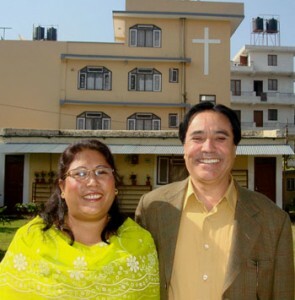 We look forward to hosting Pastor Philemon Chhetri to CPC on May 3! Plan to stay for lunch after the second worship service to hear the latest about ministry in Nepal. To learn more about the Chhetris and their ministry, please visit New Life Mission. Philemon with the school children at one of the New Life Mission schools. 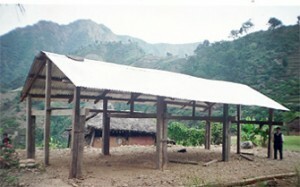 New meeting place for one of the growing Nepal congregations!